Very enjoyable Sci-Fi by Lewis for adults. In this, the final book in C.S. 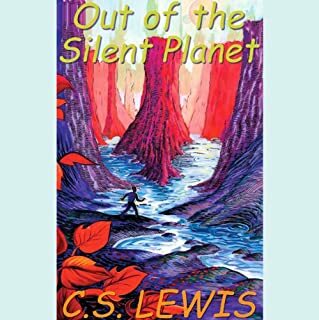 Lewis's acclaimed Space Trilogy, which includes Out of the Silent Planet and Perelandra, That Hideous Strength concludes the adventures of the matchless Dr. Ransom. Finding himself in a world of superior alien beings and scientific experiments run amok, Dr. Ransom struggles with questions of ethics and morality, applying age-old wisdom to a brave new universe dominated by science. His quest for truth is a journey filled with intrigue and suspense. Mr Howard, the narrator, has done better than the voices in my head of the many characters in the story. Mr. Lewis is at his literary best in weaving this climactic final tale in his sci-fi trilogy. I was fully drawn in. The reader has a wonderful voice. 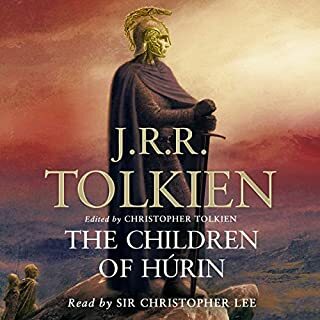 This audio edition is great! Cloning, stem cell research, psycho-chemistry. Maybe you're all for human cloning and pushing the scientific exploitation of man as resource. You won't like this book. 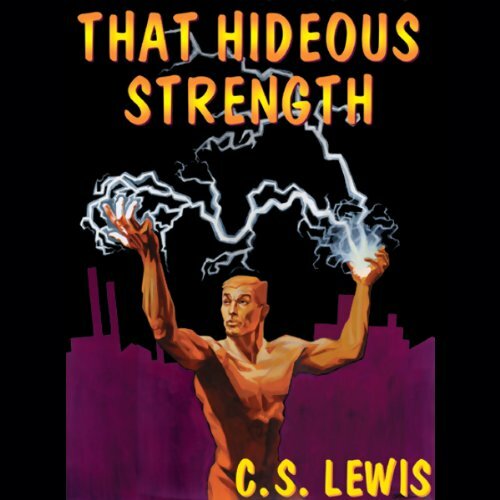 Lewis paints the future bleak where man is just another hunk of meat to use for some purpose. 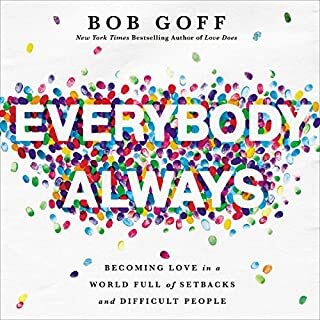 Where ever you are on the argument, you might want to read this as a pretty good exposition of the negatives that could be inherent in perceiving man as just another pile of stuff to bend to the will of... Well, that's it, isn't it. Who, exactly, gets to call the shots? Lewis achieves better narrative drive in this, the last volume of the Space Trilogy. It really does work as a pretty good thriller. This reading kept me short of sleep for several nights. After work I would come home and listen until I nodded off, and then take the print version to bed with me! 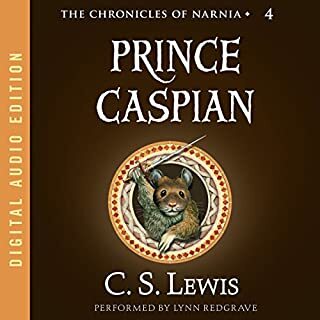 In 1943 the Narnia author C.S. 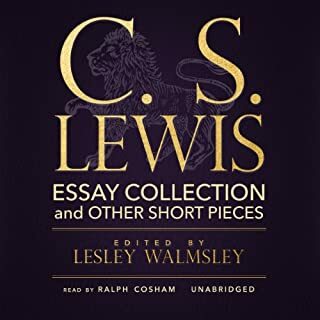 Lewis wrote this gods-on-earth fantasy for adults, including more dimensions of characterization, plus Arthurian mythology and social analysis. 70 years ago fictional writing styles were more leisurely than today. The reader's delivery in the descriptive sections doesn't slow them down, instead it keeps the story clothed in atmospherics. I'm sure Lewis would feel pleased with Geoffrey Howard's presentation. I loved the story and the reading was done with impressive skill. Would certainly recommend along with Out of the Silent Planet and Perelandra, the first two books in the series. Don't start with this if you haven't heard or read the 1st 2 in this trilogy. Yes, it is slow, but in the end it is rewarding, wrapping up the whole story. 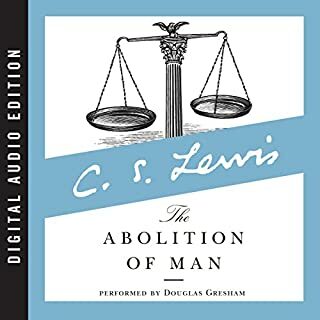 Even after listening to this I've come back to many of the themes of the book when listening to fiction and non-fiction (most particularly Confessions of an Economic Hitman). 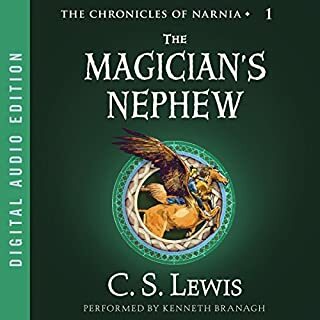 Not as good as some of Lewis' other works but well worth the listen if you've gotten yourself hooked with his other scifi works. 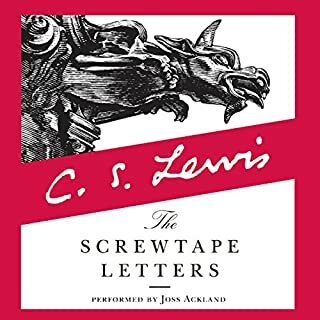 This book was my least favorite in the series. It is still pretty good, but darker than the others, and a little weird. 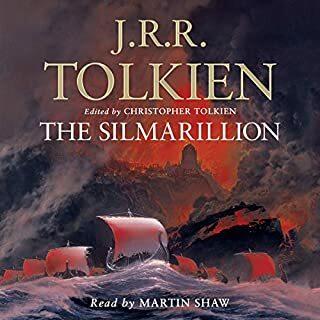 The narrator does a nice job. 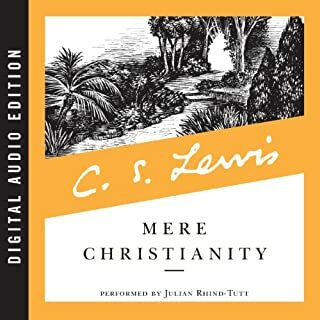 This series is not as fun as the Narnia series, but has more theology and Christian philosophy. You have probably read the first two books if you are reading this. I bought all three in a sale. I was not crazy about the second book and this one even less. I find the book too boring and mystical. It is filled with lots of very descriptive writing, which some people like and some don't. If you liked book two, you will like this. 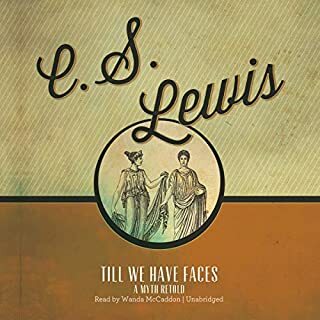 Classic CS Lewis style which I've come to love! Not as good as the first book in the series but a delightful read non the less!! Great finish to the series. Paralandra is my favorite but this ties the other two really well. Great narrating and a riveting story. I've listened to it many times now and it just gets better and better.